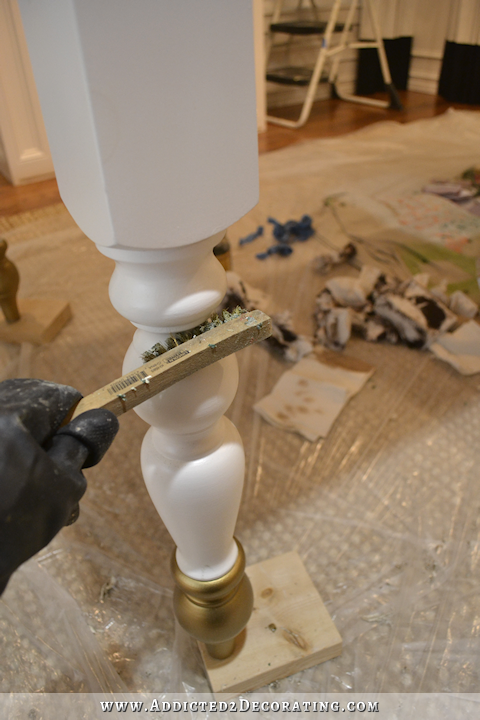 I’ve had a few people ask me about the products and process that I use for stripping paint, stain and polyurethane from furniture, so I thought I’d share my tips with you since I’m now in the middle of a paint stripping job. 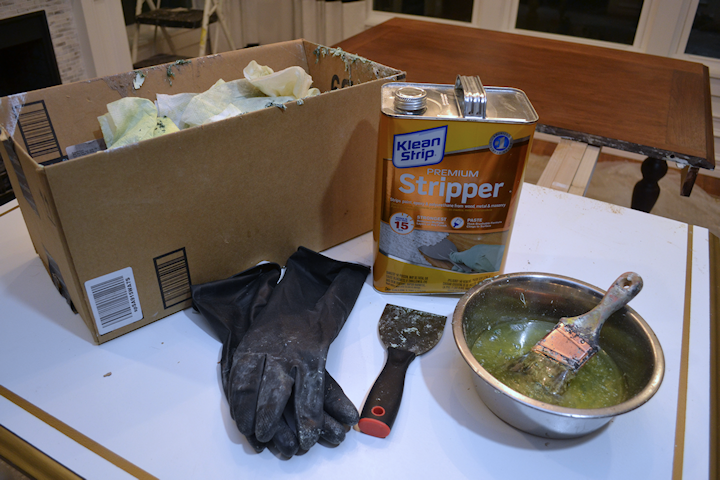 When using paint stripper for wood furniture, not only do you need a brush (a cheap chip brush will work), a container to put the stripper in, a scraper, and neoprene gloves, but I also always have a cardboard box nearby. Not only is the box useful as a trashcan to throw paper towels into as I work, but I also use it to push the paint into as I scrape it off of the furniture I’m stripping. And the edge of the cardboard box is very convenient for cleaning the scraper. Every so often, I just run the blade across the edge of the box to keep it from getting all gunked up. 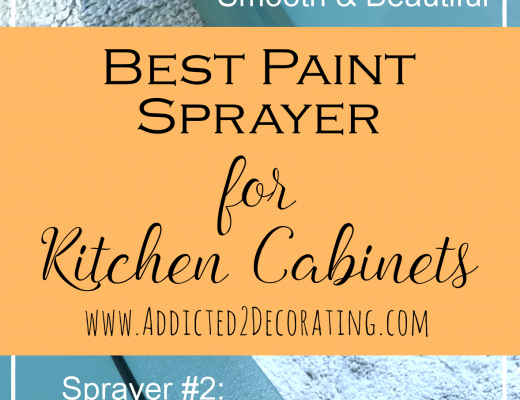 What Is The Best Paint Stripper For Wood Furniture? Now let’s talk about brands of strippers. I know there are those pretty-smelling kinds out there that are supposed to be a lot less harsh, and blah, blah, blah. Well, less harsh means that you’re going to be waiting hours for the stuff to work. I’ve tried the pleasant-smelling orange stuff that smells like you’re sitting in a juice bar, and it took about four hours to work on the first layer of paint. Then I had to wait another hour or so for it to work on the next layer of paint. It was so unbelievably slow and frustrating. Plus, the smell is deceiving. It’s advertised like it’s all natural, and it smells harmless, but the fact is that it’ll burn the heck out of your skin just like the strong stuff will. So when it comes to strippers, I use Klean Strip from Home Depot. It’s harsh, and it stinks like harsh chemicals do. And that stink reminds me the entire time that I’m working with a very harsh chemical and that I need to be very careful. And the best thing about it is that it works in minutes. You just have to be sure that you’ve got good ventilation (open doors and windows if you’re working inside so that you have good cross ventilation*), and keep kiddos and animals out of the area. *A note about cross ventilation — this is VERY important when working indoors. If you’re working on a day with no wind, consider setting up box fans in the windows/doors on opposite sides of the room, with one fan blowing into the room, and the other fan blowing out of the window to create your own cross ventilation air flow. The main keys to getting this stuff to work quickly and easily are (1) using plenty of it, and (2) keeping it wet. I use a VERY generous amount and spread it around with the brush, but if you want it to work really well, you have to keep it wet. That’s why it’s handy to keep a container filled with stripper nearby. That way, if an area begins to look dry, you can just dip your brush into the container and dab a bit more stripper onto that dry area. 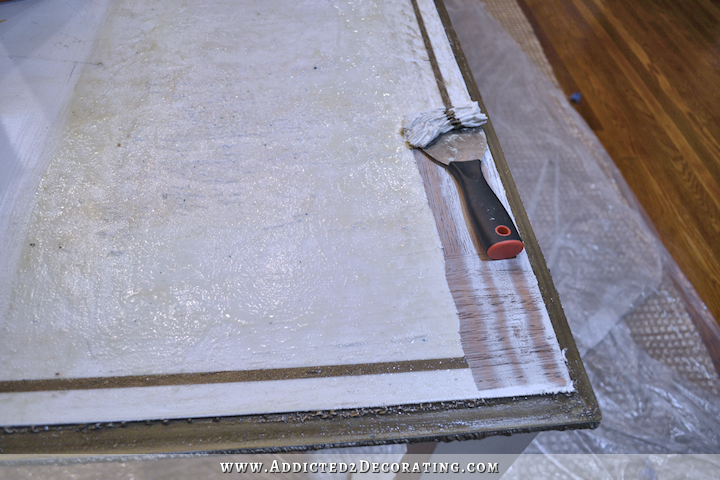 If you need to walk away while the stripper does its job, I find that it’s helpful to be sure you have plenty of stripper covering the painted surface, and then cover it with plastic so that it won’t dry out. A cheap plastic drop cloth will do the trick. After a couple of minutes, you should see the paint start to bubble. When you start to see major bubbling and wrinkling all over the surface, that’s when you know it’s time to scrape. It never takes more than about seven to ten minutes. And this is the fun part. 🙂 Just use the scraper, and start scraping that paint off! It should come up very easily. And keep the cardboard box nearby so that you can just scrape the paint right into the box. Again, this scraping should be very easy. If you’re having to put any muscle behind it at all, then that means that the stripper didn’t finish it job. Just add more stripper and wait a few more minutes. You shouldn’t need to put any kind of muscle behind this scraping process. After the first go round, mine generally looks like this, where there are still streaks of paint left behind that won’t come up easily. So I add another layer of stripper, wait a few more minutes, and then scrap again. Then it looks like this. And now for the most important step of all — the Paint Stripper After Wash.
Wrong. I finally gave in just out of curiosity one day and bought the After Wash, and it was AMAZING!! I don’t know what kind of magical, mystical concoction this is, but I never strip furniture without it now. 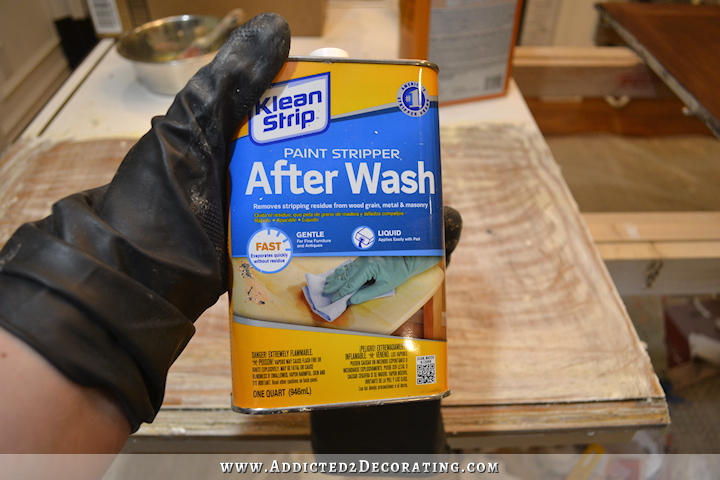 You just put some on a paper towel, and start wiping across the surface, and it removes all of the remaining paint stripper and paint streaks. 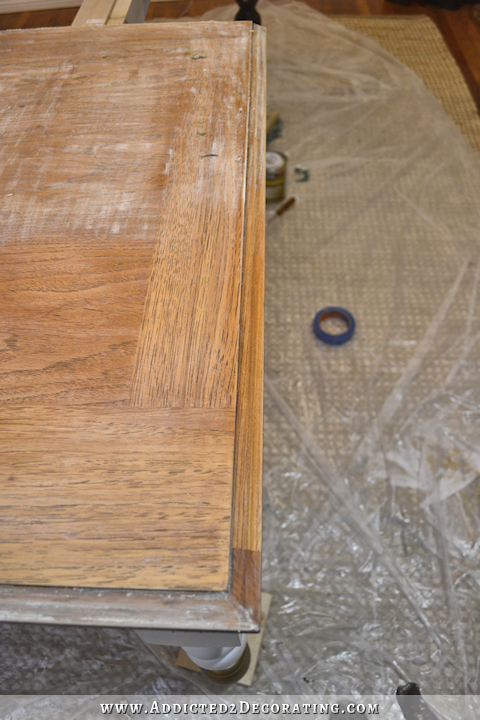 It also makes it much easier to get the paint out of those nooks and crannies, like the routed edge of the table. I was able to scrape most of the paint off of the edge with the scraper, but the After Wash cleaned it right up beautifully. Another note about the After Wash — I like to keep it close by just in case I get any paint stripper on my skin. I’m not suggesting that you use it indiscriminately, because it’s still a chemical, and putting a chemical on your skin is never a good idea. Some people are more sensitive to chemicals than others. But it does neutralize that paint stripper almost immediately. If I get the stripper on my bare skin, I just wash it off at the sink with soap and water. But last night as I was working, I was sitting on the floor and put my leg right into an area on the drop cloth where some paint stripper had dripped. It soaked right into my jeans and was burning the heck out of my leg, so I just soaked a paper towel with the After Wash and dabbed it right onto my jeans. It neutralized the burn right away. But again, it’s a chemical, so be cautious. After everything is cleaned up with the After Wash, I generally do have to go back with some 150-grit sandpaper and remove little remnants of paint, like the ones you see here on this front edge. (The edge on the left in the picture hadn’t been wiped down with the After Wash yet.) But it’s very quick and easy, and nothing that requires a power tool. Just sanding by hand will do. Now admittedly, detailed, carved, and turned wood elements are a different story. They’re not difficult to strip, but they are time-consuming. 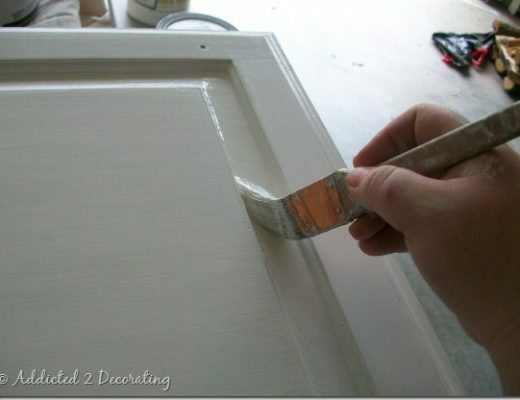 The process is the same — brush on a generous amount of paint stripper, keep it wet while it does its thing, and then scrape. But how do you scrape paint out of detailed areas? That’s where brushes come in. You can find all kinds of little brushes like this one in the same section of Home Depot or Lowe’s where they have the paint scrapers. 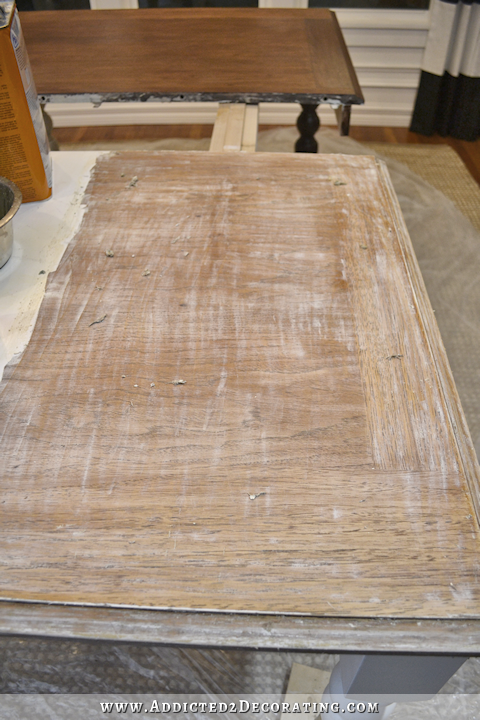 And once the paint stripper has done its thing, and you’ve scraped off any and all that you can scrape off with the regular scraper, you can reach into the nooks and crannies with a stiff brush. 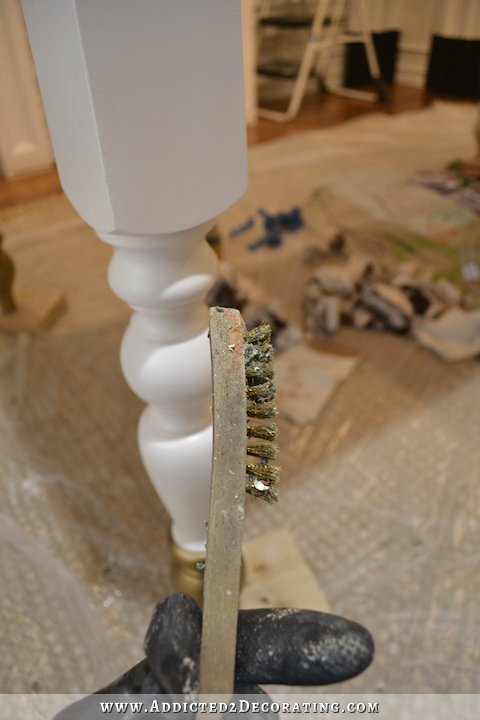 But again, the brush’s job is just to get the paint loose. The job of removing everything and leaving behind the pretty, bare wood belongs to the After Wash. On detailed areas, I generally find that I have to go through the process about three times before it’s all clean — paint stripper, scrape/brush, After Wash, and repeat two more times, or until it’s clean. 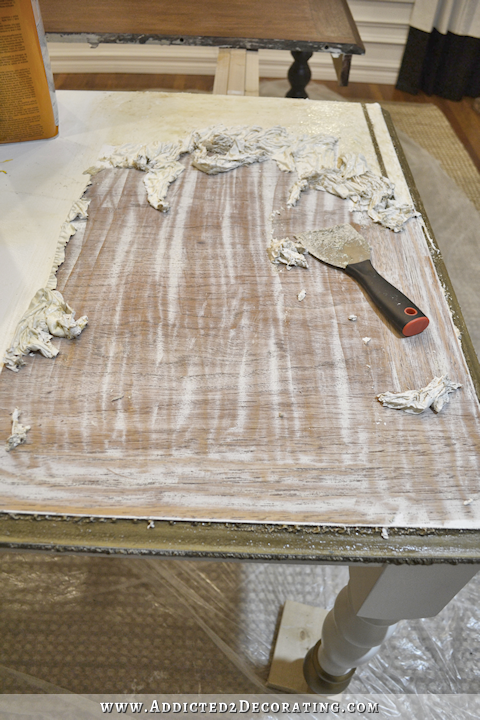 The bottom line when using paint stripper for wood furniture is that you shouldn’t have to put a whole lot of muscle and energy into it. That’s not to say that it’ll be a super quick job. If you’re working with detailed, carved, and turned items, it won’t be quick. But all of the hard work should be done by the paint stripper and the After Wash. And when you’re done, if you have any sanding at all to do, it should only be a very minimal amount that can be done by hand. Great tips! I have never used the After Wash before, I’ll give it a try! I have yet to find a pair of gloves that don’t tear from the stripper. Even the ones that say they are for stripping still tear! What kind do you use? These are the ones I use. I find them in the paint department at Home Depot. They’re thick and durable, so I don’t have an issue with them tearing. Thanks! I was about to pull the trigger on some really expensive ones. Glad I didn’t!! Thanks for the post Kristi! What protection do you use, apart of the gloves? Mask? Googles? I just use the gloves. You want to be very slow and deliberate about brushing the stripper on so that you don’t sling it around any. But I find that the gloves are all I need. Of course, you can use safety glasses. That’s always a good idea. I wear glasses in general, so my eyes are always partially covered and protected. And another question – if you use safety glasses, how do you combine them with the glasses you normally wear? I need reading glasses now, not just for reading but for DIY – can’t see the slots of the screw heads, for example :(. There are safety glasses that accommodate normal glasses, and there are safety glasses with some prescription. I am not sure which option is better. Do you have any experience with this? I wear safety glasses so rarely that I opt for the kind that goes over my glasses. It’s VERY uncomfortable and distracting, though. So if you think you’ll wear safety glasses often (which, of course, you should, and I’m very careless for not doing so), then it would probably be worth it to get prescription safety glasses. Yep, my husband had to get a Rx pair for work since he didn’t like to wear a pair over his regulars. I go onto construction sites a lot for my job, and I have a pair of safety goggles that fit over my normal glasses (that I wear all the time). Although they make me look like a nerd, I like them a lot! I’ve never tried prescription safety glasses, but I know there are limits depending on how strong your prescription is, since there could be distortion. I’m so excited to hear about the After Wash! I have done my fair share of stripping of furniture pieces though the years. I do it just like you, but I had never heard about the After Wash. I will be getting some for a couple pieces of furniture that I have to work on this summer. Thanks again for sharing! Thanks for the info…never heard of After Wash…sound amazing! Like those above, I am very thankful for this Afterwash tip. I will be stripping a table this summer and will definitely buy some in addition to the stripper. Thanks! I use this stripper all the time but I did not know about the after wash. I will definitely be using it next time. Thank you for sharing your tips. Great tips! I love your how-tos. This is what is missing from so many blogs. I really like the detail you put into your posts. Thanks! Thanks for the tutorial Kristi! That was interesting and I enjoyed it. I have never heard of “after Wash,” either. Some great tips for stripping but here’s a word of caution since it looks like you’re doing this in a closed room. Strippers, especially those made with methylene hydrochloride like Klean-Strip or Dad’s (my favorite) should be used outdoors or in a room with lots of open windows and cross ventilation. The primary ingredient is a hazmat health level 3 (extreme danger) because it’s a nervous and cardiovascular system toxin and while the product itself isn’t flammable, the hazmat flammability level is also a 3 because the fumes from the methanol in it have a flash point below 100 degrees F. The same flammability warning goes for after washes which are typically a blend of methanol, acetone and xylene. Sorry, I paid to much attention to the photos and the darkness made it appear you were working in a closed room. I reread your post and noticed that you did mention the ventilation. If you are concerned about your present and especially future health you must take extreme precautions This includes chemical rated gloves, safety glasses and a respirator. Lack of respect for this highly toxic chemical will result in health (neurological)in the future. 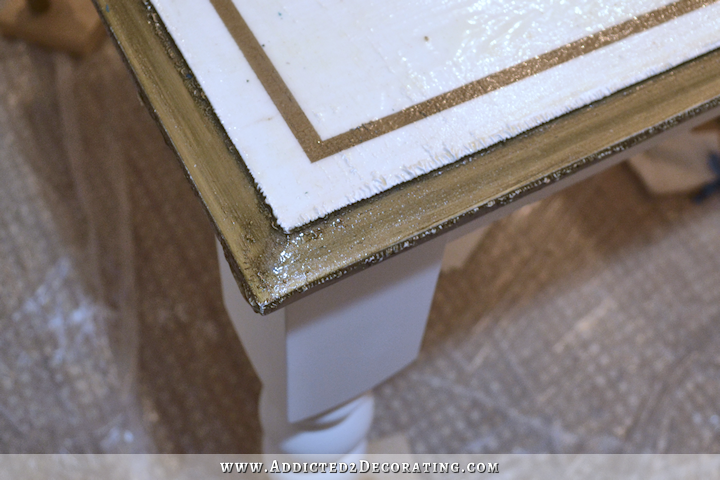 I’m facing the task of re-finishing a table, which has a heavy coating of polyurethane. 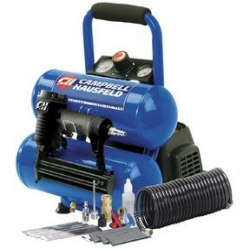 Do you know if the Stripper works on poly/stain finishes, as well? Yes, it works on poly and stain. I took a furniture stripping course many, many, many years ago and I was told by the teacher that when you are applying the stripper always go in one direction and never bring the brush back over the solution you applied unless you are applying more stripper. He said when you let air in, it negates the stripper. I have never used the After Wash either but I will definitely try it. I giggled a little when I read you putting that on your leg. I cut the grass the other day and apparently went too close to poison ivy. I discovered it when I was washing windows so I remember My Big Fat Greek Wedding and sprayed some Windex on it. The next day it was almost gone. Thank you for putting together this information. And so timely as I have my first ever stripping project to work on this weekend. 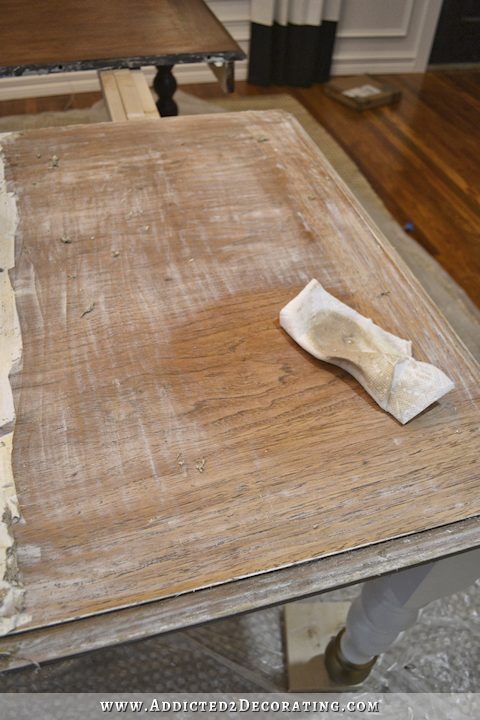 Does this method also remove a stain color that’s been applied to a piece of wooden furniture? Or does that require sanding once the poly has been stripped off? I just bought a chest that has a mahogany red stain underneath a thick layer of poly. Not my favorite color for wood. It will remove stain also. 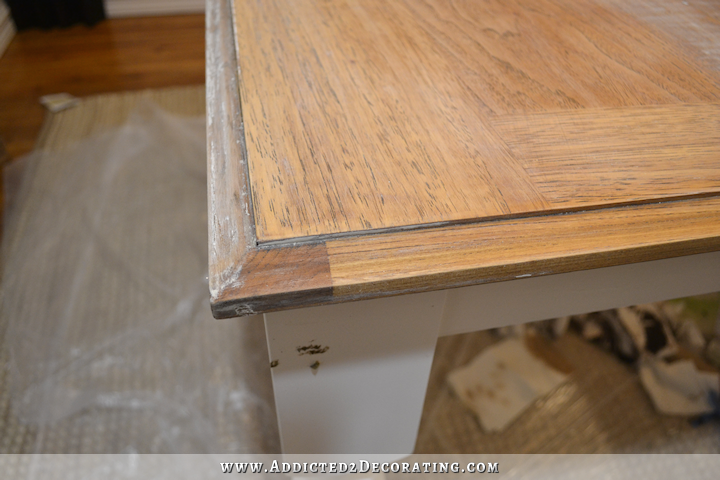 If the stained piece is really old, then it might just remove most of the color, but not all. You might have to follow up with some sanding, but it shouldn’t require much. I am so happy you have decided to uncover the wood on top!!!! Honestly my own preference when I took down window and door casings in my kitchen as well as the double-hung antique windows to strip off 100 year old multi layers of paint/sand/stain/varnish was the orange stuff you despise. Yes, it take longer, but the way I work….messy and not much for gearing-up…the stuff was the only product I could stand. It didn’t burn my skin at all. I placed the boards/windows on the cement walkway to my back gate, and after the goop had soaked in for awhile, sat down and scraped. Yes, it took longer but I was willing to wait. And of course the sanding/staining varnishing was a piece of cake. I hired a handyman to re-install the old double-hung window and reinstall the casings (as well as hang upper cabinets for me) but I feel a great sense of accomplishment at the way the antique Doug Fir in my kitchen matches the woodwork in the rest of my 1925 Craftsman bungalow. I HATE stripping paint but you make it seem almost fun, and satisfying! I’ve never heard of After Wash, so that was a great tip. Great tips, Kristi. I’m a professional stripper…from way back, so I’d like to add a few suggestions if I may. •Don’t use natural-hair bristle brushes, as they will succumb to the stripper and get really limp. •Old sheets or T-shirts, not polyester, are good to wipe chemicals from wood. •Stiff brushes are great for carvings and details, but only those with brass or plastic bristles. Steel bristles will damage wood that is wet from the chemicals. •Also good to use in details and carvings are wooden toothpicks or skewers. •File down the corners of the scraper so they won’t gouge the wood. Or use a plastic scraper. Thanks for great tips, Kristi and Jeanne in Austin. I found a scraper that had several features, one being a half curve cut out that helped on some curved areas I once worked on. Wow! Wish I’d known about the After Wash a few years ago. What an amazing difference! Next time I strip a piece of furniture I will definitely keep it in mind. Also, I may have missed this in a previous post (if I have, my apologies) but where did you get the beautiful rug and what size is it? I love following your blog. I get so many ideas from you, Kristi. I wish I had the vision you do. I bought it on Overstock.com several months ago, but it looks like they’re out of stock. It’s an 8′ x 11′. Kristi, thank you so much! I’ve been looking for quite awhile and the rugs are the wrong size or overpriced. This will be a big help. Thanks for this how to! Seems like this helps save your arms from being sooo sore like mine can be trying to redo furniture. Will have to try this next time. This looks like some great stuff! Seeing all of that paint scraped off is making me jealous of all the time I’ve spent getting paint off of things the hard way. Definitely got to get my hands on some of this stuff! Oh Kristi, I could just cry, I’ve never heard of the after wash. When I think of all the sanding and especially the time I have wasted. I’ve always done my stripping like you, but as you know that last little bit is so aggravating. Thanks so much, I’m almost looking forward to the next stripping project!